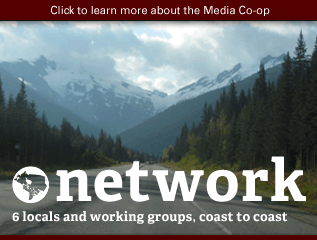 The Media Co-op is a coast-to-coast network of local media co-operatives dedicated to providing grassroots, radical media coverage in Canada. 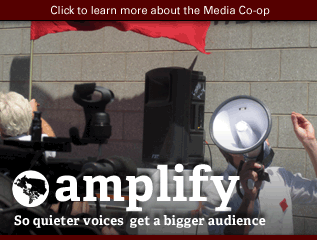 We are looking to build our capacity, extend our network, and increase our visibility as an alternative media platform. 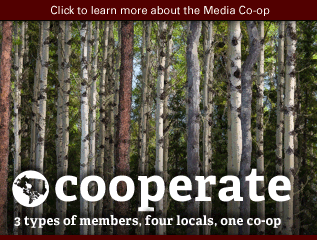 We’re looking for a creative, energetic, and plugged-in person with solid knowledge of and experience with alternative media to join the Media Co-op collective as Communications and Outreach Coordinator over the summer 2016 period. We’re trying to grow our base of writers, readers, and subscribers while we work to maintain a place for radical, anti-colonial, and feminist alternative news. 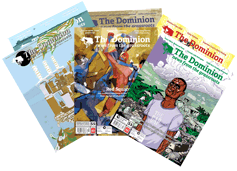 We’re especially working to improve media coverage of marginalized communities and recently produced a special issue in our flagship magazine, The Dominion, on Indigenous land defence. As Communications and Outreach Coordinator, your primary responsibilities will be to help promote our special issue and to build our organizational capacity. 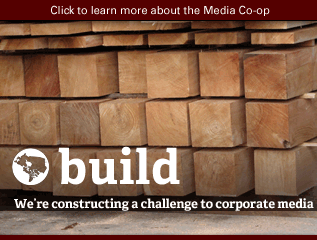 You will work 35 hours a week on the following: organizing and planning a fall promotional tour for our special issue; building relationships with existing alternative and radical media projects; recruiting writers and improving content production; managing and monitoring our social media platforms and website; and other tasks assigned by the Media Co-op board. Organizing and creating a list of story pitches to be sent to a team of volunteer writers and our publisher. Organizing and assigning emailed and submitted articles to members of the editorial collective for edits and promotion. Working with The Media Co-op board to create a social media policy that allows us to meet our mandate to provide alternative voices to mainstream media, increase our social media presence, promote the articles on our website, and collaborate with other media organizations that share similar goals with us. 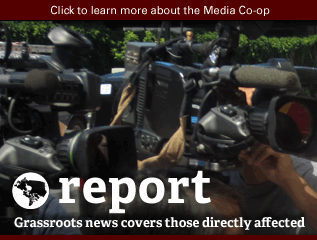 Outreach and promotion of The Media Co-op and of our special issue through events, conferences, coalitions, and organization of the fall promotional tour. Collaborating with anti-colonial grassroots organizations to organize launch parties and events for the promotion of our special issue. Managing and monitoring our social media platforms and website, approving new members and blocking spammers, and promoting website content. 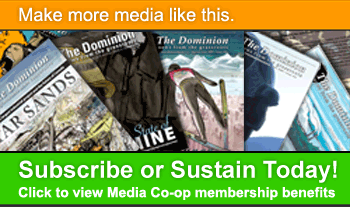 Recruiting new members, writers, editors, donors and subscribers. Organizing a membership drive and documenting efforts into a guide. 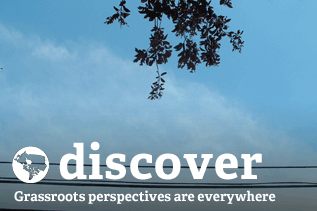 Developing relationships with existing alternative and radical media. Contributing to fundraising efforts for the fall promotional tour. 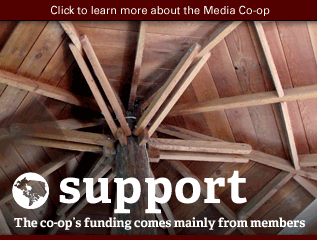 Fundraising for the Media Co-op through events, membership and subscription sales, and special projects. Working with staff to centralize information regarding organizational knowledge and structure. Working with staff to manage, maintain, and update our membership list and organize membership renewals. Creation of a centralized mini-database of communications documents. Creation of training manuals and institutional memory aids. Salary: 35 hrs/week at $11.42/hour. Anti-oppression: We prioritize students from historically marginalized groups with lived experience of oppression, including women, people of colour, Indigenous people, queer and trans folks, people living with disabilities, etc. 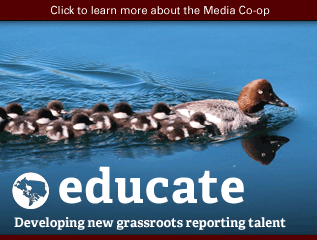 To apply: Please submit a cover letter, resume, and one writing sample to info@mediacoop.ca with “Communications and Outreach Coordinator” in the subject line by 6pm EST on Sunday, June 5th, 2016. Short-listed candidates will be contacted by June 8th, 2016. Position to start June 13th, 2016.